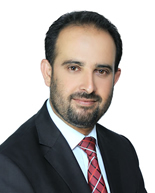 Mr. Habiburrahman Afzali graduated from the Law and Political Science Faculty of Kabul University in 2002. He joined the Attorney General's Office in 2003 as an administrative officer in the Department for Crimes of Civil Service and Public Security. Afterwards he became a professional member of the Department for Overseeing the Detention of Suspects and Criminals. Currently he serves as an Investigation Prosecutor of the Anti-Corruption Unit (ACU) of the Attorney General's Office as well as a legal consultant for Tolo Legal Services in the areas of Investment law and Business law.